Back pain is usually caused by strain or tear of either tendon, muscle or ligament. A very common problem which known to affect one in three people each year, back pain can also be linked to poor posture and lack of exercise which results in the spine getting stiff. Though not usually associated to any serious health problem, back pain, especially lower back pain has a negative effect on sleep, daily activities and even ability to work because the pain can be acute lasting from few days to months and sometimes years. Inability to easily move the spine while bending forward and back. Stiff back caused by the muscles around the spine having tense spasm. Treatment usually depends on how long and how severe the pain has been. This is categorized as short term back pain and long term back pain. Staying active and moving on with the activities of the day, living within limits of your pain is beneficial to keeping the spine muscles strong and less likely to become stiff. Hot and cold compression packs can be bought at pharmacies to ease back pain when placed on the affected back area. Painkillers like Paracetamol and ibuprofen are effective in the management or relieve of back pain but may have side effects. It is thus important to contact the doctor to advice on the medication most appropriate for you. Ensure that when resting or sleeping, it is done on a flat firm surface. Regular exercise within the limits of your pain should be done on a daily basis. These may include swimming, walking, andexercise biking. Manual therapies which include physiotherapy or massages. Acupuncture which has been proven to help relieve back pain through the insertion of fine needles in different points of the body. Surgery is usually recommended as a last resort when all other treatment options were not successful. Though has risk of potentially serious complications which should be discussed with the patient before carrying it out. While it may be possible to relieve back pain using the above guides, it is important to attend a specialist pain clinic that would help assess and treat your pain. At Kuer clinic, we are regarded as London’s leading pain consultants. We offer interventional pain medicine for all forms of back pain and sciatica and what’s more? Your records are completely confidential with us. Call or visit our back pain help page today and we will be sure to make that back pain go away permanently. About KUER Pain Clinic in London Ankylosing spondylitis Arthritis Suffers Good News We May Have A Kuer! Back Pain + Sports Medicine Clinic Harley Street – Common back conditions and treatments Bursitis treatment Causes & how to treat it with Physiotherapy causes of knee pain Different types of arthritis everything you need to know about knee pain and what causes it Golfers Elbow Symptoms Harley Street harley street physiotherapy Here are some of the ways you can manage and prevent pain in your joints. How To Relieve Back Pain Fast Illiotibial Band Syndrome treatment inside our clinic joint pain Knee Pain Know How knee pain treatment kuer physio Harley street london Managing Back Injuries Osgood-Schlatter Disease Osteroarthritis Recent survey suggests back pain responsible for more sick days than any other problem runners knee sciatica Slipped disc Speak to the back pain experts in London to learn more Symptoms of back pain tennis elbow The do's and don'ts of self help treatment for back injuries things to avoid if you have joint pain treatment for joint pain with physiotherapy Treatment of Disc Referred Pain What are the most common causes of back pain in the UK? What are the symptoms of arthritis to look out for? What are the symptoms of golfers elbow? What can you do to help with back pain? What causes disc referred pain? 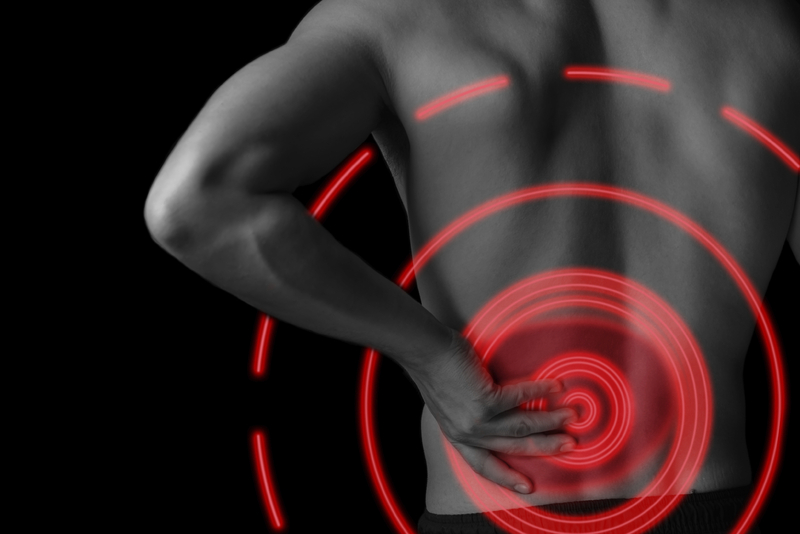 What is back pain and how many people suffer from it? What is disc dehydration? What Is Disc Referred Pain And How Can I Treat It what is golfers elbow What is the prognosis for golfers elbow? Mike is a godsend, thank you for getting me fit and well for this years London martin I couldn't have done it without you. Trapped nerve problem gone! I recently started to try and get in to shape by taking up martial arts and after years of prolonged poor posture problems (incorrect seating position at work) it finally caught up with me. I woke up with a dead arm and panicked a little if I'm honest and had a sharp pain in my neck and shoulder. I immediately spoke to my GP who said they could refer me for Physiotherapy but it would be at least a week before I was given an appointment date. I turned to Google and found Kuer Physiotherapy Clinic and called up. I got an appointment the same day and called in during my lunch break. I was impressed with the clinic itself and hope easy it was to find, the receptionist offered me a drink and said that I would be going in a few minutes. I met with Laura (my physio) who gave me a full examination and I explained that I was probably at fault but also had recently the week before been in a road traffic accident. Diagnoses with a few different issues, 1 from the terrible seating posture and years of neglect and the other from the accident. I have never been to a physio before but have seen chiropractors on a few occasions. I never found chiropractic to be as successful or immediate but had worked in the past. With the Physio treatment after the first session alone and something literally clicked and the pain subsided massively. I have now had 3 sessions and I feel as good as new. But rather than leave it there I have booked in for a follow up health check in 4 weeks time to make sure things are as they should be. I wasn't aware of the damage sitting badly could cause and have taken their advice or re-arranging my workstation, which is already making a big difference. I cannot recommend enough the team at KUER and their expertise. I do not only recommend anyone else to go see them but I will not be going anywhere else in future. 5stars! I first came across Mike Squirrell about 7 months ago after looking online for someone to help me with my neck. After the first session the pain has subsided massively and within the next 2 sessions i felt no pain whatsoever. For anyone looking for an answer to pain I would highly recommend Mike. I wouldn't let anyone but Mike Squirrel fix my back. He never fails to get me out of pain fast!